Last month (June) marked the commemoration of the aboriginal people of Canada (First Nations of the West, the Inuit of the North, and the Metis of the East).To this end, iTunes App Store dedicated an entire section featuring resources and educational materials to help teachers and students learn about Native Canadians and explore their history and traditions. We have gone through these resources and piked for you some of the materials we think are useful for using with students. 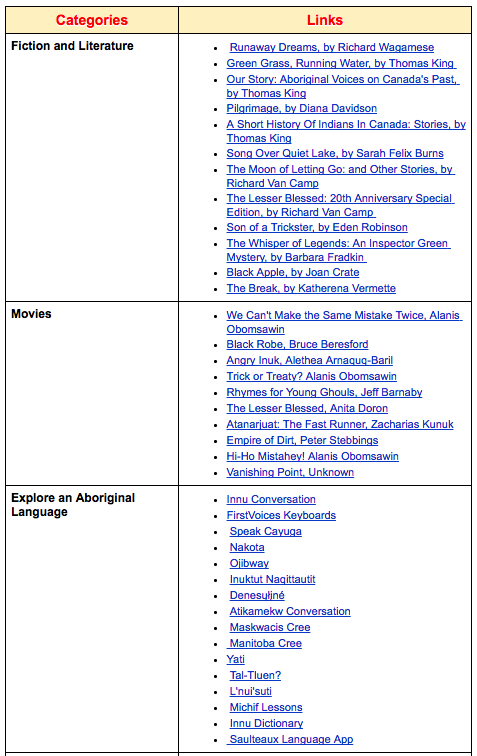 The resources are arranged into the following categories: Fiction and literature, Movies, Aboriginal Language Apps, Non-fiction, and Music. We invite you to check them out and share with us your feedback.